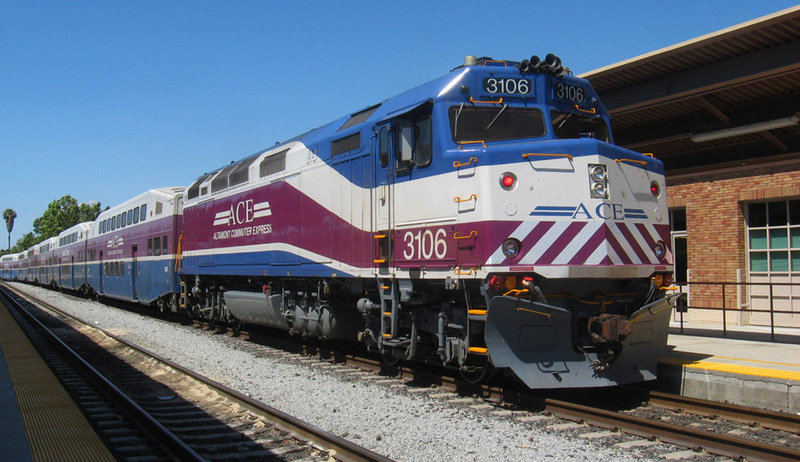 Altamont Corridor Express (ACE) service currently operates between San Jose and Stockton with four round trips a day. The 86-mile-long system travels along the highly congested I-580 corridor, where service expansion is critically needed, as well as integration with local transit routes and planned California High Speed Rail. The $950 million ACEforward program is a joint effort between the California High-Speed Rail Authority (CHSRA) and the San Joaquin Regional Rail Commission (SJRRC). The plan would potentially include 1) expansion of existing service from 4 to 6 round trips between Stockton and San Jose by 2018, and further expansion to 10 round trips by 2022; and 2) extension of service 58 miles southward to Manteca, Modesto, Turlock, and Merced with potential relocated or new stations in Tracy, Ripon, Ceres, Livingston, Atwater, and Lathrop, and possible connecting diesel multiple unit (DMU) shuttle service to Union City and future Livermore BART stations. CHS Consulting Group is responsible for conducting transportation impact analyses for the EIS and EIR, focusing on traffic operations and safety for the entire rail project and program as well as assisting in station area planning and concept design. The EIS/EIR will consist of two levels: project level analysis for the existing San Jose/Stockton and new Manteca/Modesto corridors, and program level analysis for the new Modesto/Merced corridor. CHS analyzed over 100 intersections and grade crossings potentially impacted by increased rail service. CHS also developed future baseline (2020 and 2040) and future-with-project (2020 and 2040) traffic volumes and analyses. CHS also worked collaboratively with the study team on parking needs assessment, bus interface, and conceptual circulation design of the station area. This project requires coordination among CHSRA, SJRRC, the Federal Railroad Amdinistration, and the Union Pacific Railroad; Santa Clara, Alameda, San Joaquin, Stanislaus, and Merced Counties; and 18 cities along the route.